This April marks 12 years since I got into wedding photography and in that time, so much has changed. But to be honest, a lot of the things I was doing back then are still fundamental to the success of my business today and haven’t changed at all. 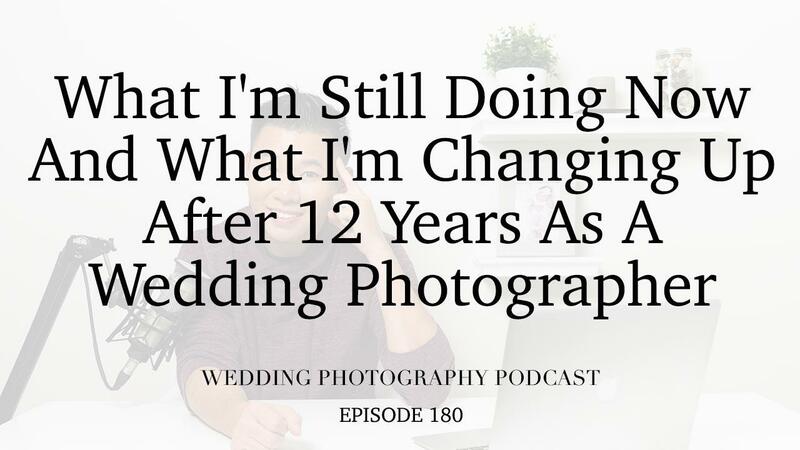 In this podcast episode, I’ll share with you some of the things I’ve been doing for the last 12 years that have helped me to become successful in wedding photography. These include providing great customer service, taking high-quality photographs, collecting reviews and taking advantage of SEO. I’ll also share with you what has changed and why such as no longer going to networking events or worrying about what my competitors are doing. As my lifestyle and priorities have changed, I’ve also had to become more efficient and focused on the way I run my business. By sharing with you what’s changed and what has stayed the same, I want to highlight the importance of finding a balance and understanding what works for you. While you need to adapt to changes taking place in technology and means of communication, you shouldn’t lose sight of what’s most important and what is of real value to your prospective clients.